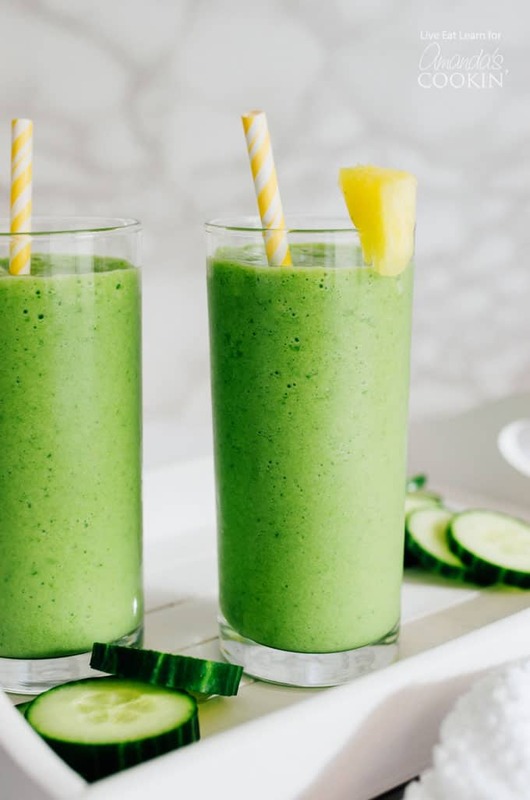 This Cucumber Tropical Smoothie packs in tropical fruits and leafy green veggies, getting you fueled for your day (without the taste of, you know, a typical green smoothie). If you’ve known me for any amount of time, you’ll know that I love smoothies. 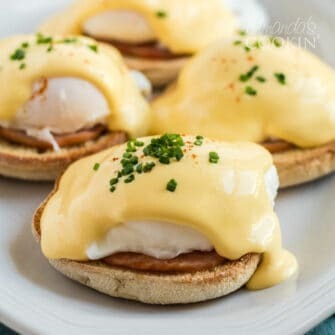 Their ability to get me up in running in the morning (with actual vegetables) (vegetable in the actual morning) is unparalleled. My usual green smoothie involves a banana, some spinach, a splash of milk, and whatever fruit that’s about to go bad in my fruit bowl. 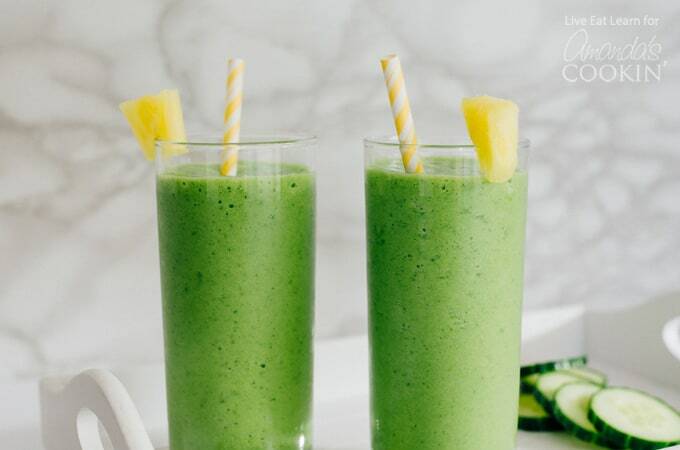 But today we’re changing it up a bit with the addition of tropical fruit (because I just bought tickets to Hawaii and have come to the point in my life where I celebrate by making green smoothies #adulting). 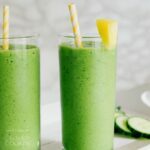 Along with the huge list of smoothie recipes, we also have an awesome recipe for Green Smoothie Popsicles, for a fun alternative that’ll keep you cool on hot days. As well as Cherry Yogurt Popsicles, Mint Chocolate Popsicles, and Raspberry Mango Popsicles! 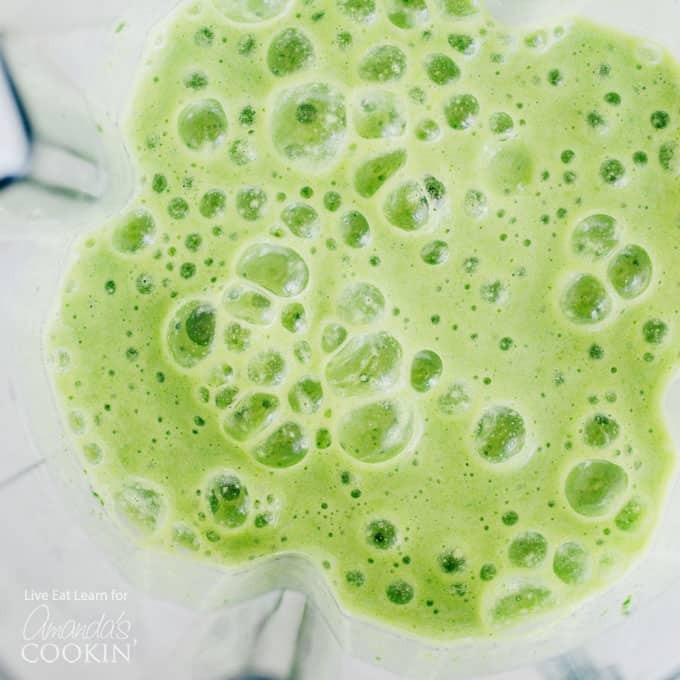 This Cucumber Tropical Smoothie packs in tropical fruits and leafy green veggies, getting you deliciously fueled for your day (without the taste of, you know, a typical green smoothie). 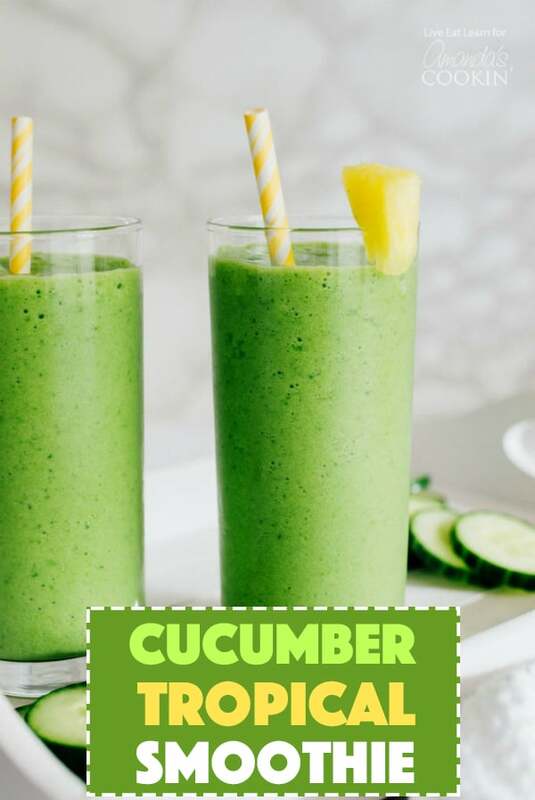 Chop all fruits and cucumber.